There is coffee, and there is coffee. Hunter’s Brew is an elegant blend of Brazilian and African beans with pleasant notes of chocolate and blue fruit. 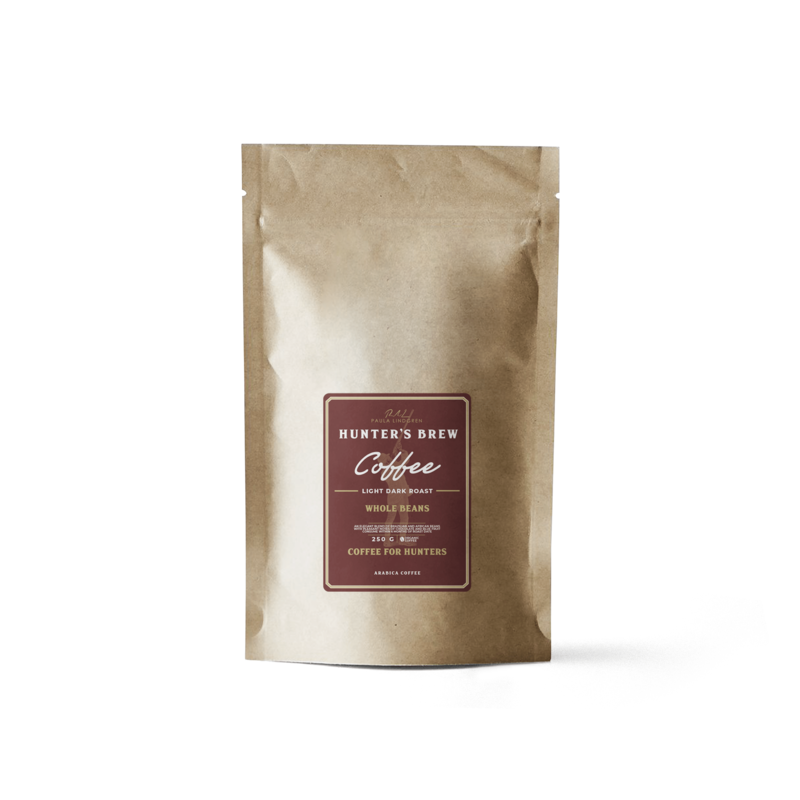 The coffee is available in three varieties, a coarse ground coffee for boiling, a delicious pour-over coffee, and whole beans for those who prefer to grind the beans to their own personal preference. Hunter’s Brew tastes as good in the thermos as over the open fire or in the espresso cup. The coffee is made by coffee lovers for coffee lovers and has a taste that does not leave anyone unmoved.